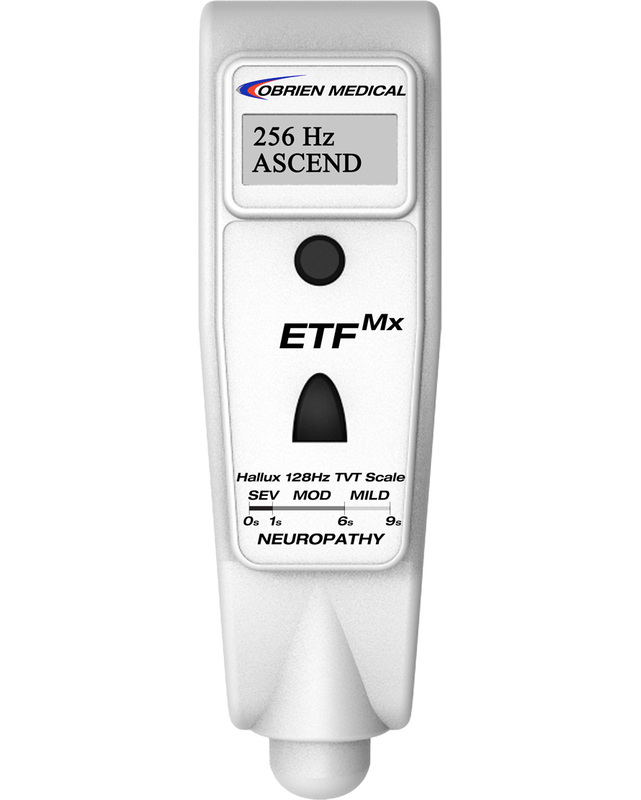 The ETFMX is the latest offering from the O’Brien Medical product line of neuropathy screening and detection tools and welcomes a new level of vibration testing. O’Brien Medical introduces the ETFMx multi-frequency electronic tuning fork. Building on the success of the ETF128, the Mx takes vibration testing to the next level. Now clinicians can test patient’s sensation with the three most used frequencies in medicine, 64, 128 and 256 Hz. This multi-frequency instrument saves time and money by essentially integrating three tuning forks into one.